On Tuesday, 24th February at 6 pm we would like to invite you to a curator's tour of the exhibition Logical Emotion: Contemporary Art from Japan. At the exhibition we present the works of 13 Japanese artists produced in such media as photography, painting, drawing, manga, sculpture, installation, object, video, ceramic and poster. The tour will be held in Polish with the participation of the curator Delfina Jałowik. The tour will be followed by a meeting with the artist Akihisa Hirata, whose work Häm is presented at the show. 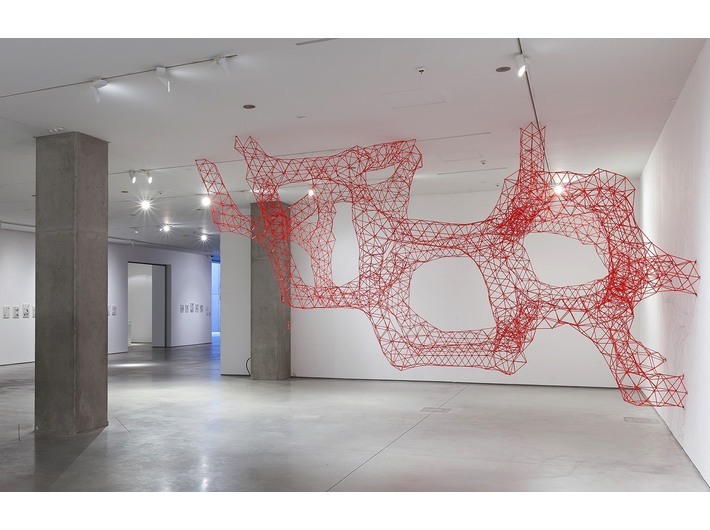 Hirata's installation is a complex construction which consists of plastic straws. Its title refers to life: "häm” is an ingredient of hemoglobin. 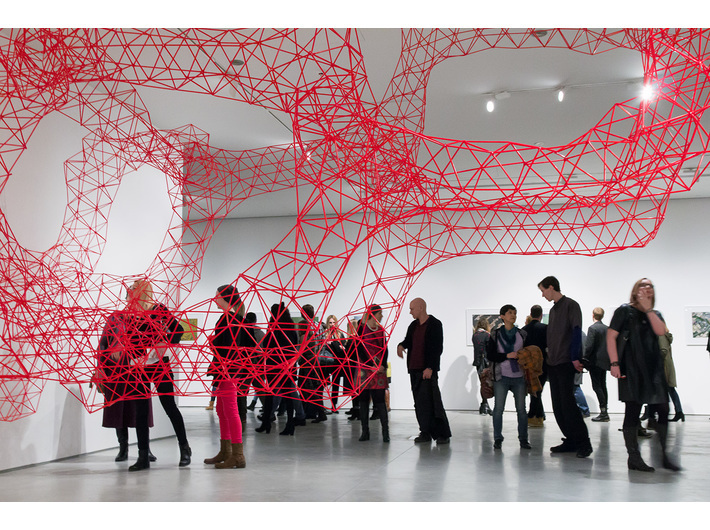 The work is a model which is meant to render the potential of the 21st century architecture. 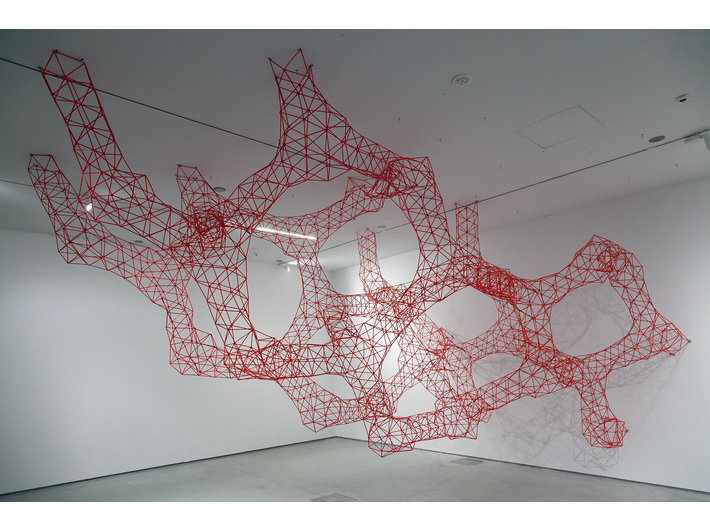 Hirata's projects reveal his interest in mathematics and the organic world. The forms he creates have an inner logic, simultaneously depicting the state of freedom. Akihisa Hirata (b. 1971 in Osaka) is an architect, Assistant Professor at Tohoku University, lecturer at the univeristies in Kyoto and Tokyo. In 1997 Hirata graduated from Kyoto University and in 2005 he established his own architecture office. Seven years later at the Venice Biennale of Architecture he was awarded the Golden Lion as a co-author of the exhibition Architecture. Possible here? Home-for-all. In 2013 during Milan Design Week he presented his installation Amazing Flow designed for Lexus. Photosynthesis, an installation he created for Panasonic in 2012 is yet another of his important designs, also exhibited in Milan. Hirata's designs consistently strive towards organic form. In contrast to architecture created exclusively by means of interference in space, Hirata puts forward a model of "intertwined" fragments of nature. The meeting with Akihisa Hirata will be held in English.